Caffeine is a chemical called xanthine found in the seeds, leaves, and fruit of many plants, where it acts as a natural pesticide. It is the most widely consumed psychoactive substance and is such an important part of many people’s lives that they might not even think of it as a drug. Up to 90 percent of adults around the world use it on a daily basis. According to both the FDA and the American Medical Association the moderate use of caffeine is “generally recognized as safe.” It is considered a legal psychoactive drug and, for the most part, is completely unregulated. The average caffeine consumption for American adults is considered moderate at 280 milligrams per day, although it is not uncommon for people to consume up to 600 milligrams per day. This works out to almost 4 ½ cups of coffee per day. The bitter taste of caffeine is palatable for many and coffee is the most readily available source of it, accounting for 70 percent of daily caffeine consumption. The second readily available source of caffeine is soft drinks, delivering 16 percent of daily caffeine. (In this case, the bitter caffeine taste is usually masked by a large amount of added sugar.) Tea is the third common source of caffeine, at 12 percent. Just how much caffeine is there in a cup of coffee? It varies. The caffeine content of an average cup of coffee can range from 102 to 200 milligrams, and the range for tea is 40 to 120 milligrams. Table 3.11 “Caffeine Content in Various Beverages and Foods” provides useful information on the levels of caffeine found in common beverages. When estimating your total caffeine consumption remember it’s not only in beverages, but also some foods and medicine. Source: Caffeine.MedicineNet.com. http://www.medicinenet.com/caffeine/article.htm. Accessed October 2, 2011. The most renowned effects of caffeine on the body are increased alertness and delay of fatigue and sleep. How does caffeine stimulate the brain? Caffeine is chemically similar to a chemical in our brains (adenosine). Caffeine interacts with adenosine’s specific protein receptor. It blocks the actions of the adenosine, and affects the levels of signaling molecules in the brain, leading to an increase in energy metabolism. At the molecular level, caffeine stimulates the brain, increasing alertness and causing a delay of fatigue and sleep. At high doses caffeine stimulates the motor cortex of the brain and interferes with the sleep-wake cycle, causing side effects such as shakiness, anxiety, and insomnia. People’s sensitivity to the adverse effects of caffeine varies and some people develop side effects at much lower doses. The many effects caffeine has on the brain do not diminish with habitual drinking of caffeinated beverages. Consuming caffeine in the evening and in the middle of the night will help keep you awake to study for an exam, but it will not enhance your performance on the next day’s test if you do not get enough sleep. Drink caffeinated beverages in moderation at any time of the day or evening to increase alertness (if you are not sensitive to caffeine’s adverse effects), but get the recommended amount of sleep. It is important to note that caffeine has some effects on health that are either promoted or masked by the other beneficial chemicals found in coffee and tea. This means that when assessing the benefits and consequences of your caffeine intake, you must take into account how much caffeine in your diet comes from coffee and tea versus how much you obtain from soft drinks. There is scientific evidence supporting that higher consumption of caffeine, mostly in the form of coffee, substantially reduces the risk for developing Type 2 diabetes and Parkinson’s disease. There is a lesser amount of evidence suggesting increased coffee consumption lowers the risk of heart attacks in both men and women, and strokes in women. In smaller population studies, decaffeinated coffee sometimes performs as well as caffeinated coffee, bringing up the hypothesis that there are beneficial chemicals in coffee other than caffeine that play larger roles in the health benefits of coffee. A review of fifteen epidemiological studies in The Journal of the American Medical Association proposes that habitual coffee consumption reduces the risk of Type 2 diabetes. The risk reduction was 35 percent for those who consumed greater than 6–7 cups of coffee per day and was 28 percent for those who consumed 4–5 cups daily. These groups were compared with people who consumed less than 2 cups of coffee per day. Parkinson’s disease is an illness of the central nervous system causing many disorders of movement. 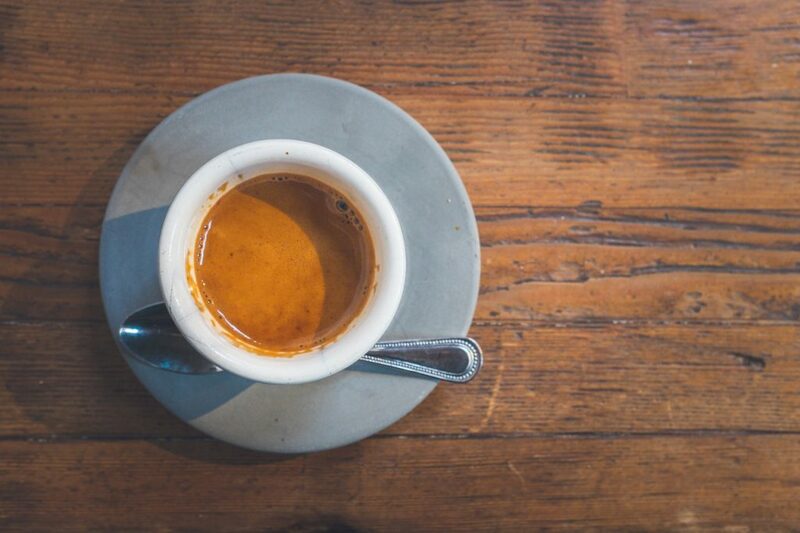 Research scientists in Hawai’i found an inverse relationship between caffeine intake and the incidence of Parkinson’s disease. Men who did not consume coffee had a five times more likely chance of Parkinson’s disease than men who consumed more than 3 cups of coffee daily. In this study other caffeine sources, such as soft drinks and tea, were also associated with a reduced risk of Parkinson’s disease. A review of several studies, published in the Journal of Alzheimer’s Disease, has reaffirmed that caffeine intake may reduce the risk of Parkinson’s disease in both men and women. This review also took into consideration caffeine obtained from dietary sources other than caffeine, though the data on these is not as extensive or as strong as for coffee. There is also some scientific evidence that drinking coffee is linked to a much lower risk for dementia and Alzheimer’s disease. The acute adverse health effects of caffeine ingestion are anxiety, shakiness, and sleep deprivation. On a more chronic basis, some scientific reports suggest that higher caffeine intake is linked to negative effects on heart health and increased cardiovascular disease; although at this point most data suggests caffeine does not significantly increase either. A comprehensive review published in the American Journal of Clinical Nutrition reports that caffeine induces a modest increase in blood pressure lasting less than three hours in people with hypertension, but there is no evidence that habitual coffee consumption increases blood pressure long-term or increases the risk for cardiovascular disease. There is no good evidence that chronic caffeine exposure increases blood pressure chronically in people without hypertension. Some have hypothesized that caffeine elevates calcium excretion and therefore could potentially harm bones. The scientific consensus at this time is that caffeine minimally affects calcium levels and intake is not associated with any increased risk for osteoporosis or the incidence of fractures in most women. Although the effect of caffeine on calcium excretion is small, postmenopausal women with risk factors for osteoporosis may want to make sure their dietary caffeine intake is low or moderate and not excessive. A diuretic refers to any substance that elevates the normal urine output above that of drinking water. Caffeinated beverages are commonly believed to be dehydrating due to their diuretic effect, but results from scientific studies do not support that caffeinated beverages increase urine output more so than water. This does not mean that consuming caffeinated beverages does not affect urine output, but rather that it does not increase urine output more than water does. Thus, caffeinated beverages are considered a source of hydration similar to water. Scientific studies under certain circumstances show that consuming sports drinks (instead of plain water) during high-intensity exercise lasting longer than one hour significantly enhances endurance, and some evidence indicates it additionally enhances performance. There is no consistent evidence that drinking sports drinks instead of plain water enhances endurance or performance in individuals exercising less than one hour and at low to moderate intensities. A well-concocted sports drink contains sugar, water, and sodium in the correct proportions so that hydration is optimized. The sugar is helpful in maintaining blood-glucose levels needed to fuel muscles, the water keeps an athlete hydrated, and the sodium enhances fluid absorption and replaces some of that lost in sweat. The American College of Sports Medicine states that the goal of drinking fluids during exercise is to prevent dehydration, which compromises performance and endurance. The primary source of water loss during intense physical activity is sweat. Perspiration rates are variable and dependent on many factors including body composition, humidity, temperature, and type of exercise. The hydration goal for obtaining optimal endurance and performance is to replace what is lost, not to over-hydrate. A person’s sweating rate can be approximated by measuring weight before and after exercise—the difference in weight will be the amount of water weight you lost. The primary electrolyte lost in sweat is sodium. One liter of sweat can contain between 1,000–2,000 milligrams of sodium. Potassium, magnesium, and calcium are also lost, but in much lower amounts. If you are exercising at high intensity for greater than ninety minutes, it is important to replace sodium as well as water. This can be partly accomplished by consuming a sports drink. The highest content of sodium in commercial sports drinks is approximately 450 milligrams per liter and thus will not replace all lost sodium unless a person drinks several liters. This is NOT recommended, as water intoxication not only compromises performance, but may also be deadly. The sodium in sports drinks enhances fluid absorption so that rehydration is more efficiently accomplished. If you are not exercising for more than ninety minutes at a high intensity, dietary intake of sodium and other electrolytes should be sufficient for replacing lost electrolytes. Children and adult athletes exercising for more than one hour at high-intensity (tennis, rowing, rugby, soccer, etc.) may benefit endurance-wise and possibly performance-wise from consuming a sports drink rather than water. However, consuming sports drinks provides no benefit over water to endurance, performance, or exercise recovery for those exercising less than an hour. In fact, as with all other sugary drinks containing few to no nutrients, they are only another source of calories. Drinking sports drinks when you are doing no exercise at all is not recommended. Instead of a sports drink, you can replenish lost fluids and obtain energy and electrolytes during exercise by drinking plain water and eating a sports bar or snack that contains carbohydrates, protein, and electrolytes. Post-exercise, low-fat milk has been scientifically shown to be just as effective as a sports drink as a rehydration beverage and it is more nutrient-dense, containing carbohydrates, protein, and electrolytes, in addition to other vitamins. Sports drinks consumed in excess by athletes or used by non-athletes simply are another source of added sugars, and thus extra calories, in the diet and provide no performance, exercise recovery or health benefit. Popular Beverage Choices by University of Hawai’i at Mānoa Food Science and Human Nutrition Program is licensed under a Creative Commons Attribution-NonCommercial-ShareAlike 4.0 International License, except where otherwise noted.